Why do we have a visceral reaction to the word networking? I often hear the mental machinations that hold us back like, “I have nothing to say” or “They don’t want to talk to me.” The other roadblock is how it feels … yucky! I’ve heard people refer to networking as manipulation, pasting on a smile, and schmoozing (which sounds like oozing, which makes me think of an open wound — definitely yucky!). You see someone working the room. They’re always engaged in conversation, smiling, maybe laughing loudly and often. Do you look at that person and think; “Wow, I wish I could network like that.” Do you think there’s a way networking “should be”? Or do you have a vision for what a “good networker” does or looks like? I’m here to tell you the most effective networking doesn’t look or feel like networking. What do you like to do? Do you prefer to do things in big groups or one-on-one? Or maybe you feel most comfortable connecting virtually? Our energy ebbs and flows during different times of day, in different situations, locations and atmospheres. Once we understand the nature of our Networking Energy, we can use it to create opportunities that work with our natural and preferred style. Remember, we don’t want to fake it. Pretending to be up when we’re down, pretending to be fascinated when we’re bored just doesn’t work. Therefore, eliminate your existing perceptions about the way networking “should” be. Each of us must find the networking events that we want to go to, not the ones we think we should attend. When you choose situations in which you’re most comfortable — match your networking energy — your authentic self will emerge. When that happens, you display confidence and leverage your natural style. Arrive early. At the start of an event everyone is a little lost and looking for someone to talk with. It’s actually easier to find someone to chat with when the room is not yet crowded. Throughout the night, those early conversations become familiar faces that are easier to approach when the conversations become larger groups. Stay late. The end of the event is another more relaxed time for connecting. The energy in the room has calmed and conversations seem to come easier with the practice from earlier. Helping to pack up or walk out with someone is disarming and enables an ease with a timed end to a new conversation. Volunteer. Having a job assigned gives you both purpose and permission to talk with people. Even easier, you have a built-in topic related to your volunteer post. The goal will be to expand on the conversation. Position yourself. Even if you don’t have a specific role assigned, you can still position yourself in a place where people may ask for help. For example, if you position yourself by the door, you can direct people to the registration area. In the lobby area people are always looking for the restroom. Make yourself useful and quick connection points can lead to longer conversations. Take breaks. This is key to keeping a productive energy throughout an event. Stepping out for some air, a bathroom break or a quick cell phone check gives an introvert the time needed to re-energize and return ready to connect. At the end of the day, whatever you decide feels authentic and true is what is your networking energy. I can tell you all day that not talking constantly or preferring to talk one-on-one is OK, but the only thing that will make it OK for you is that YOU decide it’s OK.
Connectors don’t need to be extroverts! Many introverts are amazing connectors, with their own way to do it. They leverage their natural listening skills to make people feel heard. They’re able to focus their attention on the person in front of them. All of these innately introverted qualities are advantages when it comes to connection. 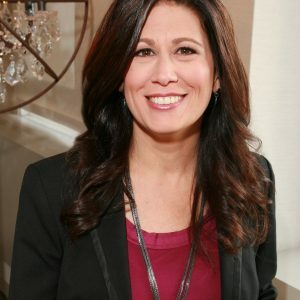 Michelle Tillis Lederman is the author of “The Connector’s Advantage: 7 Mindsets to Grow Your Influence and Impact” and CEO of Executive Essentials, a communications and management training and coaching firm.